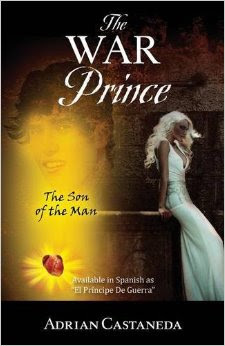 Synopsis: The war prince is a story about Anthony cast a special boy who was not supposed to be born alive moments before dying, the war prince gave Anthony cast his heart, giving him a chance at life with the of help of friends, Anthony has to survive all attacks from evil to raise the war prince, who reincarnates as his son. Review: this book has a really enjoyable storyline. it was easy to get in to and it was harder to put down once l started reading it. this book is great read. l would tell people that you should step outside your comfort zone with books because it is good to add more authors and genres to your reading portfolio even if you do not read books like this. this book was sent to me in exchange for a honest review. this book was sent to me by bostick communications l want to say a big thank you to them and Adrian Castaneda for sending me this book and giving me a chance to read this book and story it was a confusing story at first but l understood the more as l read on and l highly recommend this book to anyone and l think it is a must have on any book shelf l am glad l have this book in my library and on my book shelf and Anthony's son had to fight the devil and send him back to hell where he belongs. l think the author is really nice and kind. About The Author: My whole life has been a crazy adventure with many dreams and visions that l can not wait to share with everyone, my name is Adrian Castaneda, and l am the author of the war prince, l am also a happily married man to my wife vianet, father of two little girls annette and suri and a baby boy Alexander.